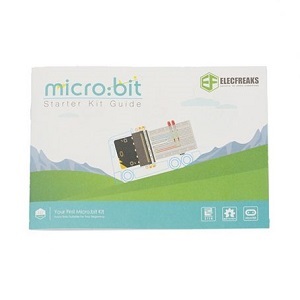 Getting started with electronics has traditionally been hard requiring investment in costly and difficult to procure electronics learning kits. The Arduino movement however changed all of that with the introduction of the Arduino UNO. The Arduino UNO is one of the best boards to get started with learning electronics, coding, etc. In many different way the Arduino movement and has democratized the learning of electronics all over the world. 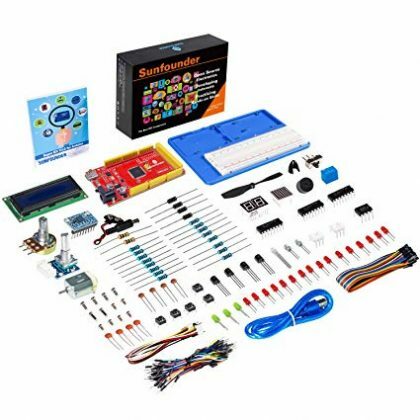 If this is your first experience tinkering with electronics and you have some existing programming knowledge, then the, “Exploring Electronics using SunFounders Arduino Super Starter Kit” is probably for you. This development track provides access to various tutorials that will help you explore the fundamentals of electronics while building on your essential coding skills. 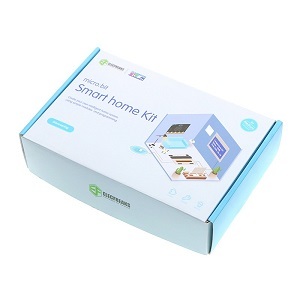 This development track is based on the Arduino UNO and offers a perfect introduction to the world of electronics and programming through an affordable and easy to use hardware, software platform. You will learn how to connect up the ~30+ different electronic bits (Sensors, LEDs, switches, LCD, servo, etc. ), create circuits using the Arduino, learn to write code using the Arduino block based programming interface or even program the board using the Arduino IDE (Programming in C). As you progress through the different tutorials you will explore the different capabilities of the Arduino, including the intricacies of integrating the Arduino with the different electronic bits i.e. sensors, LED’s, switches, servos, etc. included in the starter kit. The Arduino Starter Kit offers a great opportunity to explore the world of electronics. 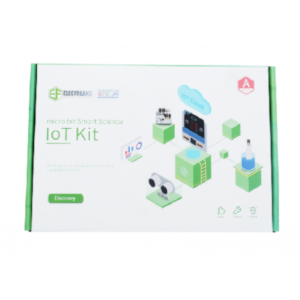 Learn to interact with the real world through the various sensors, create innovative projects, learn how to program the Arduino to read data from the sensors and perform certain actions based on the values read. The Arduino Starter Kit for the Arduino is a great way to dive into the awesome world of electronics and get started with your own STEM (Science, Technology, Engineering, Math) learning journey. Work with transistors, Shift registers, opto-couplers, etc. You will need to download and install the Arduino development IDE. The approach to installation, configuration, setup of the Arduino IDE is covered in our tutorials. 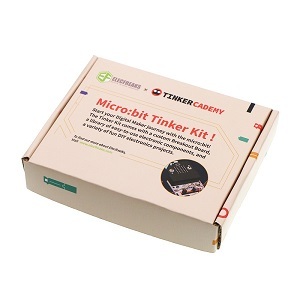 You will need to purchase the SunFounder Super Starter Kit for the Arduino. The SunFounder’s Super Starter Arduino kit has all the sensors you need to perform the tutorials covered in this development track. The Arduino UNO is the most used and documented board of the whole Arduino family and very easy to setup, play with. The Arduino UNO is a microcontroller board based on the ATmega328 . The Arduino UNO has 14 digital input/output pins (of which 6 can be used as PWM outputs), 6 analog inputs, a 16 MHz ceramic resonator, a USB connection, a power jack, an ICSP header, and a reset button. Arduino is an open-source, prototyping platform and its simplicity makes it ideal for hobbyists to use as well as professionals. The Arduino UNO contains everything needed to support the microcontroller; simply connect it to a computer with a USB cable or power it with a AC-to-DC adapter or battery to get started. The Arduino UNO differs from all preceding boards in that it does not use the FTDI USB-to-serial driver chip. Instead, it features the Atmega8U2 microcontroller chip programmed as a USB-to-serial converter. “Uno” means one in Italian and is named to mark the upcoming release of Arduino 1.0. The Arduino Uno and version 1.0 will be the reference versions of Arduno, moving forward. The Uno is the latest in a series of USB Arduino boards, and the reference model for the Arduino platform. You can read more about the Arduino here – www.arduino.cc.